When it comes to your basement, it behooves you as a homeowner to keep this space dry and moisture-free. Your basement, after all, provides the foundational structure for your entire home. More than 40 area residents ventured to Deagan’s Kitchen & Bar on November 16 to participate in LakewoodAlive’s “Knowing Your Home: Waterproofing Basics” free workshop. 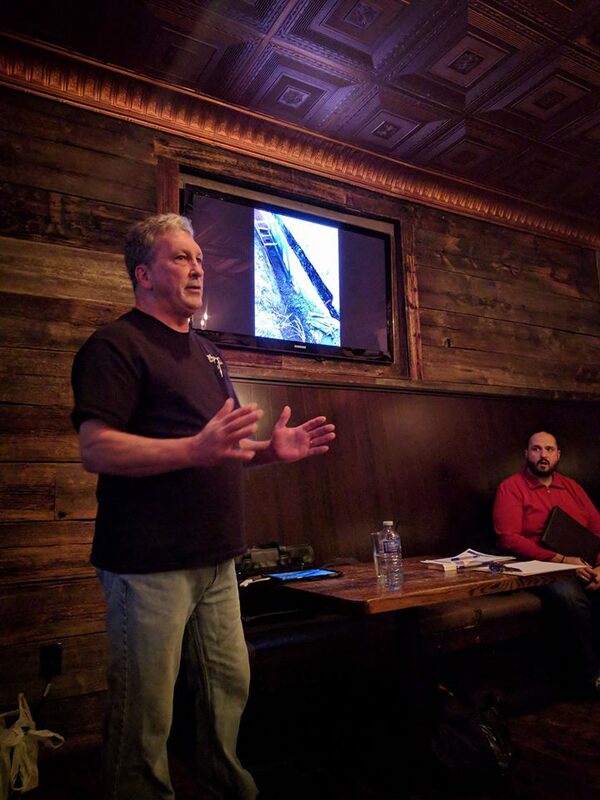 Led by Steve Allen of Integrity Waterproofing, the 16th and final workshop of 2017 for this popular home maintenance educational program covered a wide range of problem-solving topics pertaining to basement waterproofing, including best practices for working with a contractor. Our “Waterproofing Basics” workshop culminated the 2017 Knowing Your Home series. 1. Understand the difference between waterproofing and water control. Many companies claim to offer waterproofing when, in fact, they are selling interior water control systems. Water control systems are installed inside of your basement, utilizing drain tile and pumps. Waterproofing is performed exclusively on the outside. Waterproofing corrects the problems that cause seepage. Water control systems deal with seepage after it has entered your basement. Let the water in and pump it out, or keep it out altogether – this is the main difference between waterproofing and water control. 2. Be wary of horizontal foundation cracks. While foundation cracks of any type can be worrisome, horizontal cracks are worse and require more immediate professional inspection and repair. Whereas vertical cracks typically result from foundation settling, horizontal cracks can indicate poor drainage and soil pressure. Horizontal cracks generally spread along a wall to a connecting wall, potentially compromising your home’s foundation. 3. Kill two birds with one stone. If excavation on the driveway side of your home proves necessary to complete waterproofing, take advantage of this opportunity and have your driveway resurfaced. This way you won’t have to have this area dug up again down the road to have your driveway redone. 4. Know your gravel options. Not all waterproofing gravel is created equal. Since limestone compacts thereby limiting drainage, you should avoid using this material when waterproofing your home. Instead it’s recommended to use river rock, which is slightly more expensive but does not experience compaction. This material will maximize the dryness for your home’s foundation. 5. Consider implementing a polyethylene wrap as part of your waterproofing process. When the moisture level outside of your home is higher than on the inside, moisture will migrate through the foundation walls creating humidity in your basement. By wrapping your home in a durable polyethylene wrap, diffusion cannot occur. This ensures your basement remains dryer and limits your reliance on a dehumidifier.